A Michael Strahan personal appearance, Michael Strahan speaking engagement, or Michael Strahan endorsement will reflect well on your company. To hire Michael Strahan now for any corporate appearance, fundraiser, motivational speaker event, personal appearance, autograph signing, or website endorsement please contact our celebrity agents at 1-877-6-SPORTS. We will contact Michael Strahan or contact Michael Strahan's agent and provide you with the booking fees and availability immediately upon your request. Direct Sportslink is the only sports speakers bureau and talent booking agency based in the United States securing only sports talent for corporations, associations, and organizations for motivational speaking engagements, personal appearances, and endorsements. We are the premier sports celebrity booking agency and a sports celebrity procurement expert. Accordingly, we will provide you with any relevant Michael Strahan website information and booking agent details so that you can hire Michael Strahan for your next event. 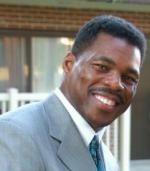 Strahan attended Texas Southern University and was drafted in the second round of the 1993 NFL Draft by the New York Giants. He has held the NFL record for sacks in a single season with 22.5, breaking Mark Gastineau's total of 22 in the 2001 season. 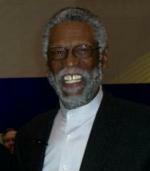 In 2001 and 2003, Strahan was named the NFL Defensive Player of the Year. He is a seven time Pro-Bowl selection and a four time First-Team All-Pro selection. 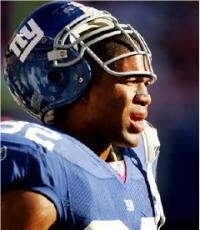 After helping to upset the Patriots in Super Bowl XLII, Strahan retired from the NFL. He finishd his career with 141.5 sacks, 794 tackles, 4 interceptions, 21 forced fumbles in 200 games over a 15 year career. Strahan has appeared and played golf in an advertisement for Right Guard, appeared in a Snickers commercial, and appeared in a Subway Restaurants commercial with Jared Fogle. He was also on the cover of the final videogame of the NFL Blitz series. Based on your interest in Michael Strahan as a speaker or for a personal appearance, Direct Sportslink has provided you additional links below for other sports talent with similar appearance fees, speaker topics, and categories that match Michael Strahan.